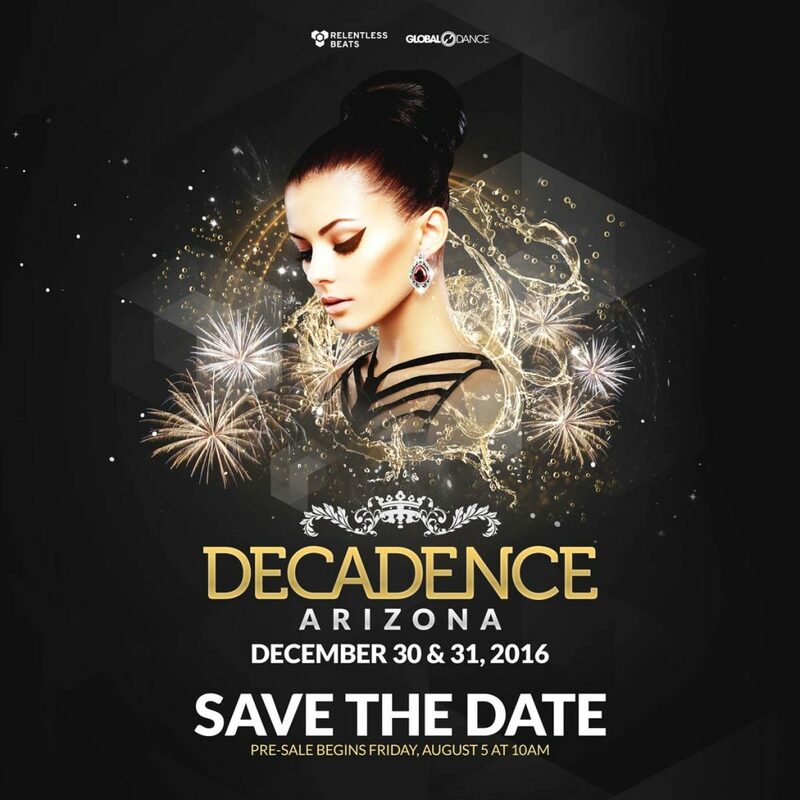 Decadence, AZ will be happening December 30th and 31st this year. Promising one of the biggest lineups brought to Arizona, this is being built up to be an awesome NYE weekend celebration. The event will be held on two stages at the Rawhide Event Center in Chandler, Arizona from 6:00pm until 3:00am. Presales for the event will begin at 10:00am today, Friday, August 5th. Make sure to get your presale prices while they still last. Decadence AZ returns December 30th & 31st to host the biggest lineup ever brought to Arizona on 2 stages, in Chandler at Rawhide Event Center.